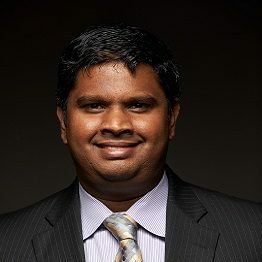 Dr. Rajaram Bhagavathula is a Senior Research Associate in the Center for Infrastructure-Based Safety Systems at Virginia Tech Transportation Institute. He is currently involved in the design, management, execution of human factors research projects focused on infrastructure-based systems that promote traffic safety. Dr. Bhagavathula has been lead experimenter in a series of projects considering roadway lighting such as parking lot lighting, intersection lighting, spectral effects of roadway lighting, work zone lighting, conspicuity of cyclists and pedestrian safety at roundabouts. This work has resulted in several peer-reviewed journal and conference publications. He has a Ph.D. in Industrial & Systems Engineering from Virginia Tech with specialization in Human Factors and Ergonomics.